On my way home earlier, I was just thinking of what mail I should expect this week. My packages usually arrive at home from Wednesdays to Fridays (yes, my packages get delivered right at my doorstep — our postman is awesome), and when I remembered that, I felt a bit sad because I would have to wait a bit more before I can get anything — if I do get anything this week, that is. I knew what it was immediately, so I put my bag down and started opening it right there, not even bothering to change or get some dinner first. I know there’s a book inside. I wonder what else? I sure hope there are no free cigars inside. Inside was a wrapped package, a card, a snowman Pez dispenser, Pez candy and…”snow”! Hope your holidays are full of frosty fun! 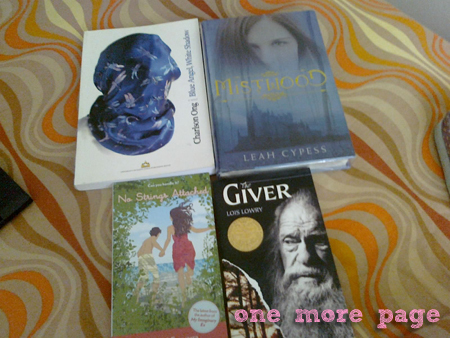 I hope you enjoy the books I have chosen and the touch of snow I’ve sent. I figured you didn’t get a lot of it there! My Santa is right — we hardly have snow here. Lots of rains lately, but snow — never. Yay! 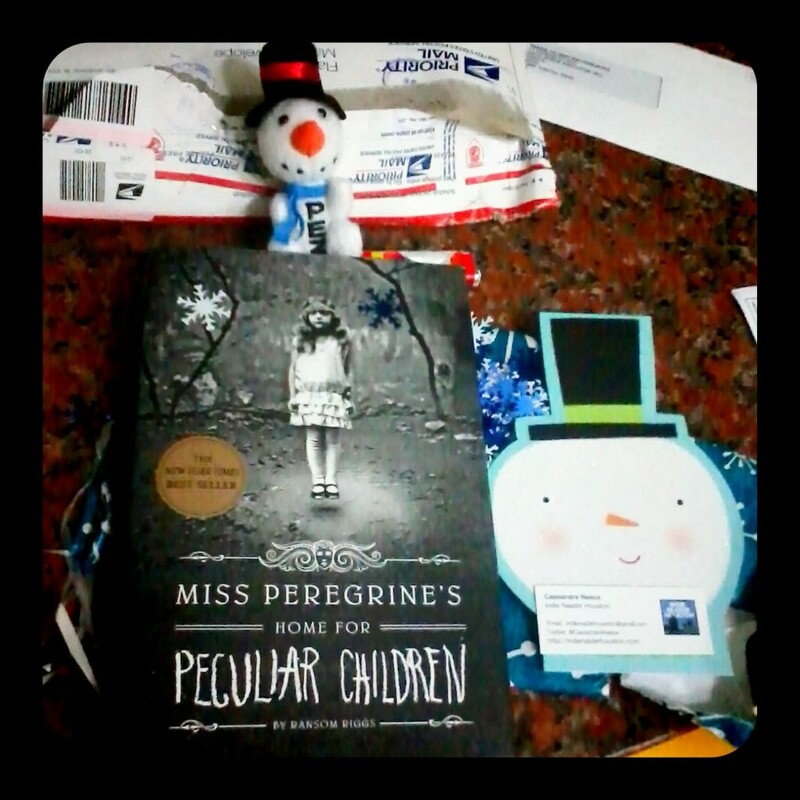 I finally have a copy of Miss Peregrine’s Home for Peculiar Children by Ransom Riggs! It’s one of those books on my wish list that I sorta kinda forgot was there. :) My Santa did her research well! Thanks so much to my Santa, Cassandra from Indie Reader Houston! Thank you for putting together such a thoughtful package. 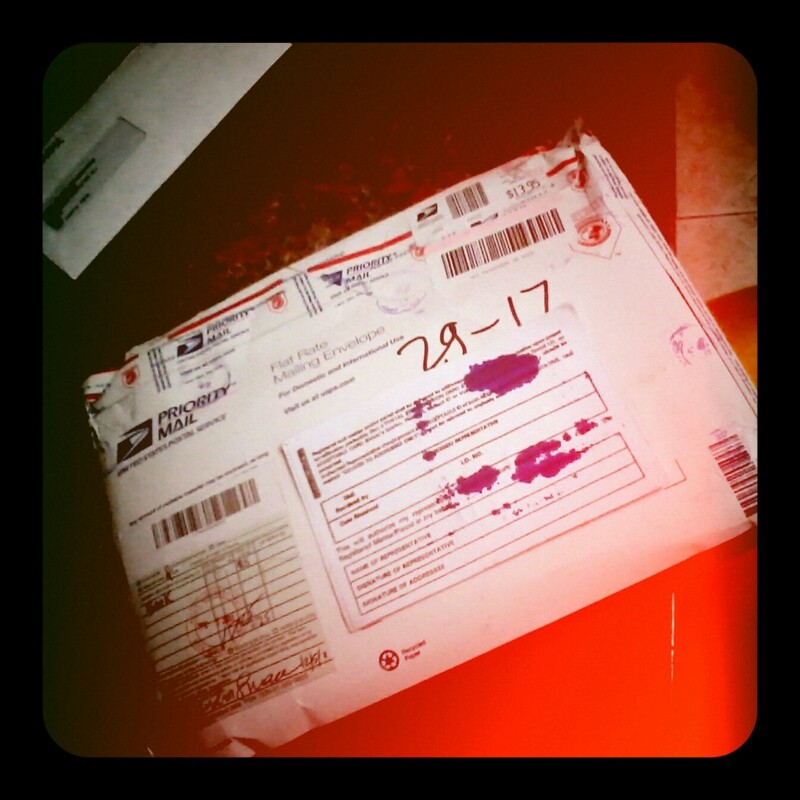 :) This just totally made my Monday, and I’m so glad it arrived just a day after Christmas. Nothing like opening another package to keep the Christmas spirit, yes? Happy Holidays! As of this writing, there are only 46 days till Christmas. Again: where did time go? Why is it going too fast? Before we know it, November (and NaNoWriMo) is over, and it’s December! And it’s Christmas! Okay, so I think everyone can see that I love Christmas, and Christmas always makes things better for me, no matter how bad my mood is. Plus, Christmas automatically makes me more generous for some reason (must be the spirit of giving!). 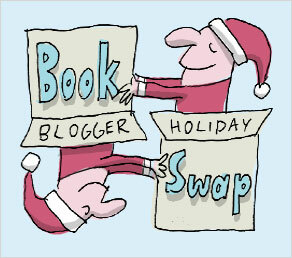 When I saw posts from Holly and Chachic about the Book Blogger Holiday Swap, I decided to join in for the fun! Hm. That reminds me, I think I shall suggest something like this to my friends now. 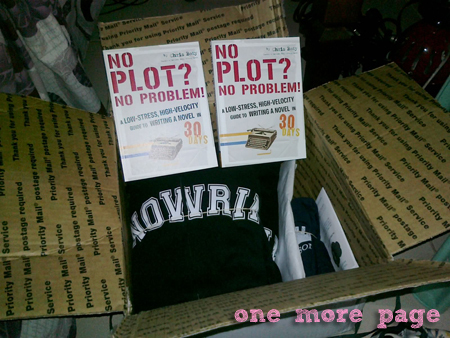 :D And maybe think of a Christmas giveaway too? Hmmm.